Photo by Barry Wetcher © Warner Bros. Pictures 2009. All rights reserved. Photo © Warner Bros. Pictures 2009. All rights reserved. 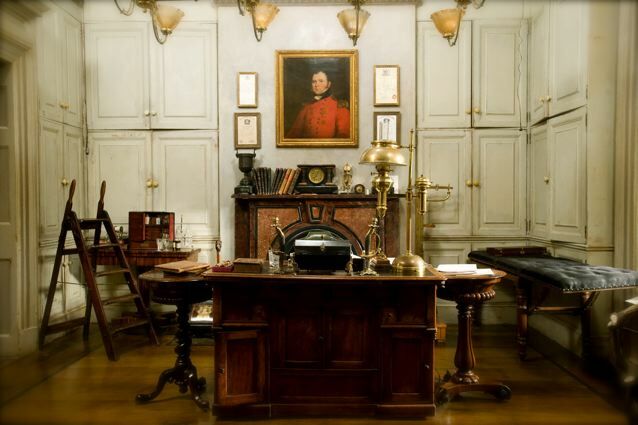 Irene Adler's Room Holmes [Robert Downey Jr.] is on the case! Photo by Alex Bailey © Warner Bros. Pictures 2009. All rights reserved. "The film is set when the British Empire is at its height. There was a sense of being on the cusp of the modern age... a growing engagement in technologies of the near future, and this sense of wonderment. They're verging on all these incredible things." Director Guy Ritchie brought a new, energetic perspective to the enduring adventures of Sherlock Holmes, “While our story is rooted in London of the 1890s, we have tried to make it as contemporary as we possibly can." 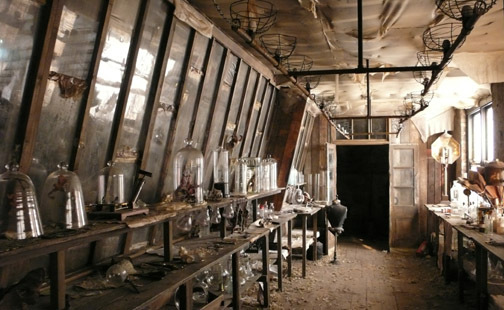 To do so visually, Ritchie collaborated with Production Designer Sarah Greenwood and Set Decorator Katie Spencer SDSA. The directive was to be at once authentic and grounded in the reality of the times, while also creating a fresh look for Holmes's world. Their success garnered Greenwood and Spencer both an Academy Award nomination for Outstanding Art Direction, their third Oscar nod—and for Greenwood an Art Directors Guild nomination, her second for this award. 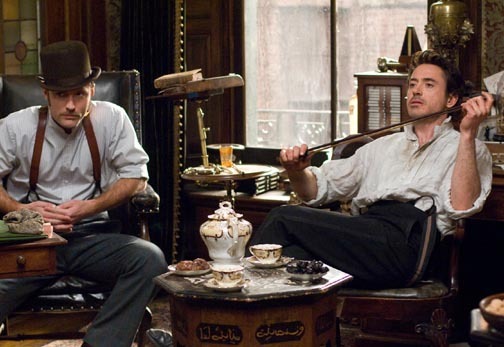 Downey adds, "You have this incredibly fascinating yet dangerous city, and Holmes knows every inch of it. He feels that this is his city in which to engage the enemy. And he knows what he's up against." Jude Law, who plays Holmes’s trusted ally Dr Watson, remarks on the variety of settings. "The locations on this film are a bit amazing. I was born and raised here and we went to places I've never been or even seen—really beautiful Victorian and Edwardian cobbled corners of London, Manchester and Liverpool. I learned so much about my home country over the course of this shoot." Some of the logistics for these locations were nightmarish. Imagine trucking in the set dressing on narrow cobbled lanes and add in the compressed time schedule: a 12-week prep and a 12-week shoot. The overriding challenge was the tremendous scope of the film. "We go from the gutter to the grandeur of the Houses of Parliament, to the shipyard in Chatham Docks, to the creepiness of the crypts, to the intimacy of Holmes's rooms," Greenwood relates. "This movie is funny, it's visceral, it's fast-paced and it's energetic. Our mandate from the beginning was to always keep those elements in mind." 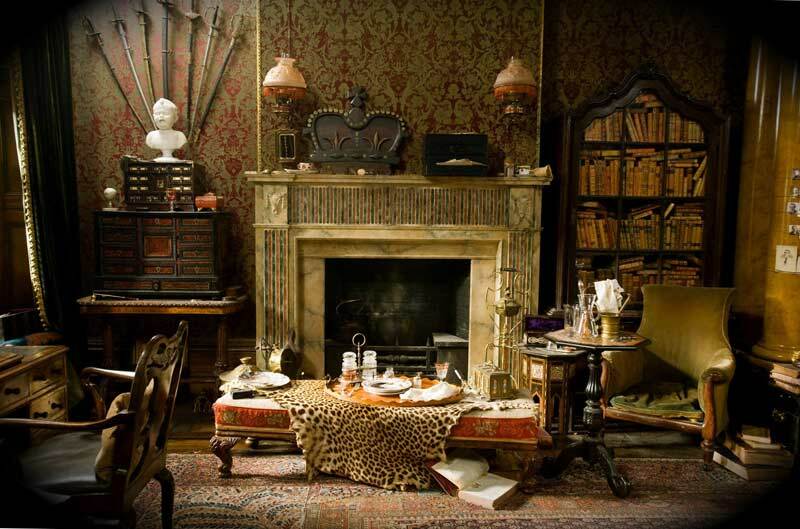 The iconic set for the film was one of the most famous addresses in the world: 221B Baker Street, the flat Sherlock Holmes shares with his close friend Dr. John Watson. In its clutter and chaos, the apartment reveals both Holmes's disorganized personal habits and the detective's brilliant, complex mind. Layered detailing is essential to the set. Ritchie notes, "Everything is supposed to represent his journeys, his travels, his inquisitive nature into the human condition and the human anatomy, chemistry, photography...frankly, anything that's worthy of Holmes's interest." 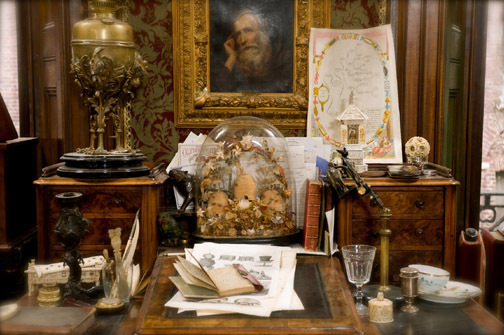 Dog-eared books, newspapers, paintings from the Near East, unpaid bills, maps of Britain, anatomical drawings, Oriental carpets, a tiger-skin rug, half-eaten food from forgotten meals, not to mention Watson's exceedingly tolerant dog, Gladstone, can all be found in Holmes's Rooms. In keeping with his profession, there are wigs, mustaches and false noses for disguises, and a padded post for Holmes's martial arts practice. "It's just minutiae, but to him it's really engaging," Downey explains. "It's those touches that really help you feel comfortable on this set. The reality of his job is that it entails long amounts of time spent in isolation, but when he's not stimulated, it's a fate worse than death. So, hopefully Baker Street embodies everything it takes for him not to be bored to death." "It was fantastic to have an actor who cares about his environment, who will use the props in a way we didn't imagine," says Spencer. “Robert was incredibly informed and organic. 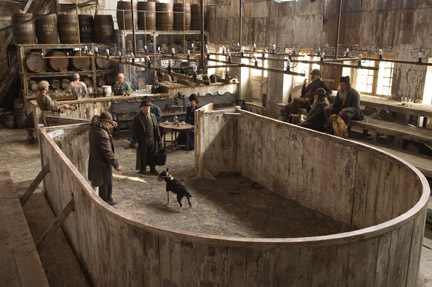 He would inhabit the set—he loved small details and would find a way to use them within the scene. 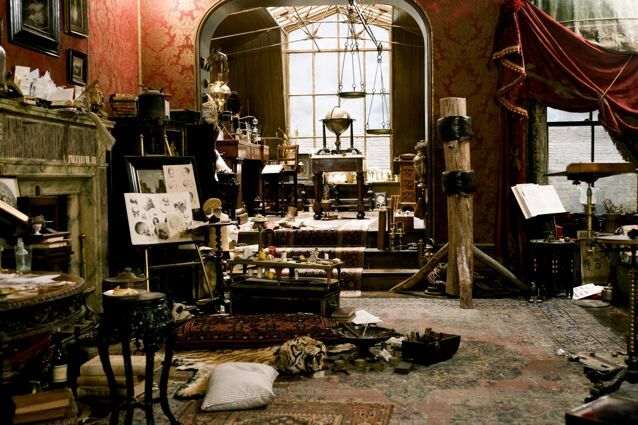 A mahogany walnut-cracker, for example, was placed as backstory—Holmes has been locked away in his room for 2+ weeks, but he has to survive on something, so we gave him a mania for nuts, which seemed to suit. Robert used it. Then Rachel McAdams, as Holmes's great love and Achilles' heel Irene Adler, used it. The nutcracker became a sort of metaphor…"
In the film, Sherlock Holmes exclaims, “Are you aware that is the first combination of bascule and suspension bridge? What an industrious empire!" A multi-story set was built on stage in New York, representing the half-constructed Tower Bridge of 1891 London. “In New York, we had fantastic help from Set Decorator Susan Bode Tyson SDSA and her assistant Jenny Nickason,” Spencer credits. 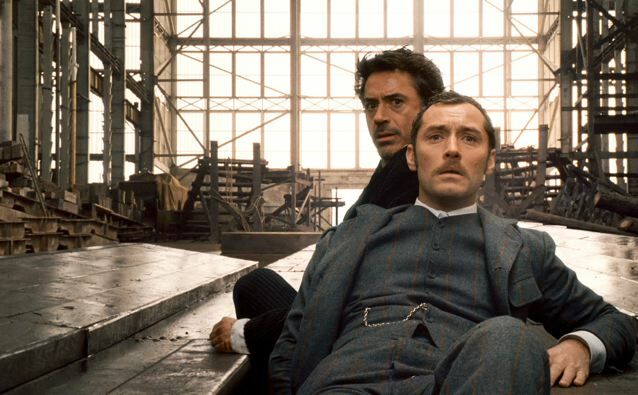 In the course of their investigation, Holmes and Watson discover the makeshift laboratory where Blackwood's operative, Luke Reordan [Oran Gurel], conducts ingenious but mystifying experiments. A building in London's Spitalfields district was transformed into a physical representation of Reordan's tortured mind: scrawled notes and biblical Latin and Hebrew notations pinned to the wall, crucifixes and pagan charms hanging from the ceiling, and dissected frogs and rats littering the surfaces. Brompton Cemetery in Kensington, where a sole witness to Blackwood's resurrection makes his startling claim. Greenwood & Spencer observe, “The Brompton Cemetery was a great urban Victorian cemetery. We have a lot of those in London, but this was particularly good as it had the stepped-down crypts that we could build on to, that in reality led to the real thing…coffins and all!"